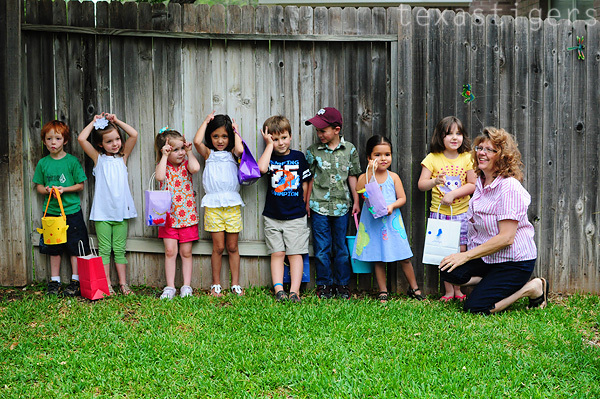 Yesterday was Abby's preschool class Easter party. Her preschool has no field trips - instead once a month or so they have a field trip brought to them at school (they've had firemen, dentist, a roper (cowboy)... come and visit) However for the Easter party it is held off campus so this was a treat for all the kids to get together outside of school. 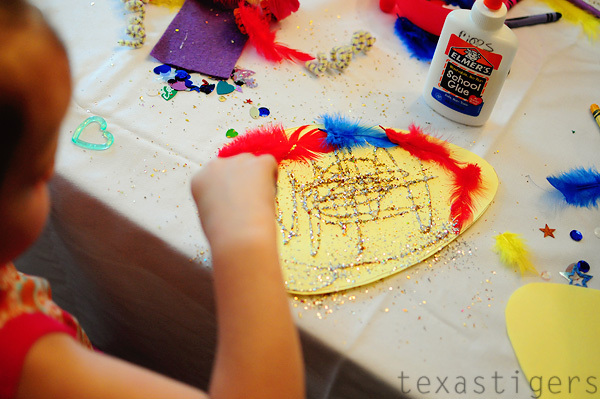 Her class party was at the home of one of her classmates. 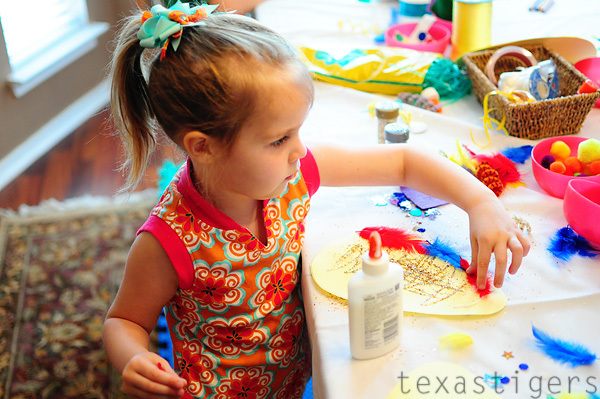 Abby had a lot of fun decorating her egg! Then it was off to hunt for eggs! 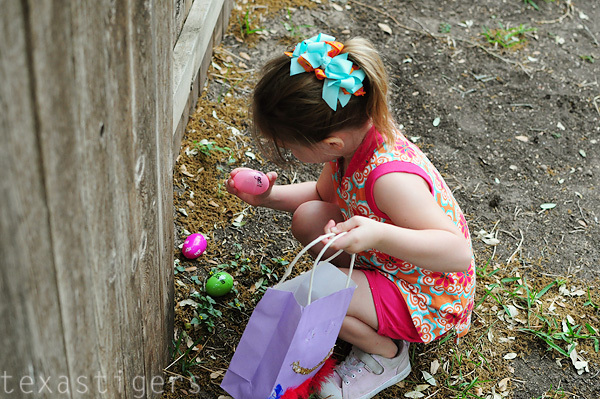 The moms in charge of this party had a brilliant idea to take the extra time put names on all the eggs so instead of a free for all where some kids got more eggs than others they had to hunt to find the eggs with their names on them. 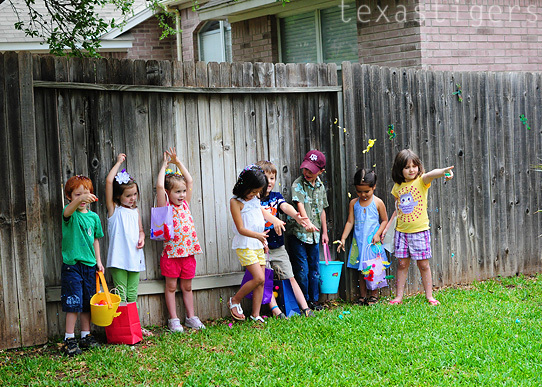 It probably doubled the length of the egg hunt as well - making the fun last longer! This had everyone smiling and giggling. Mrs. Ham was a good sport when one of the moms told everyone to crack them over her. Then it was a free for all on everyone else. Abby enjoyed having them cracked over her as much as cracking them above her friends. *Abby's fabulous bow was made by my sweet friend Stephanie - I love it! Then everyone sat on the picnic blanket for a lunch picnic of pizza, grapes and a cupcake. They all dug into their bags of eggs to look inside as well. 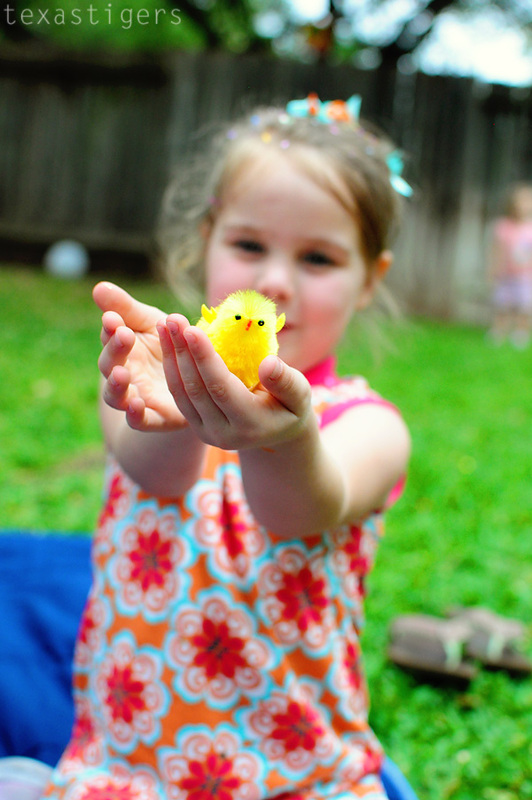 Abby's favorite was the little chick. Afterwards they had fun playing with balloons, bubbles, balls and reading some books just enjoying playing with each other. 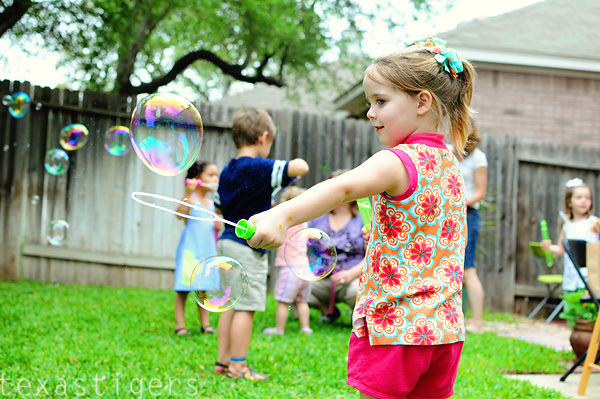 It was a wonderful party and it was so sweet to be able to see Abby interact with all her friends. She really loves her teacher as well. It makes me sad that this school year is coming to an end so soon.